Every new baby should have a quilt to call their own. Right? Especially when the baby is a quilters granddaughter. On march 10th our 5th granddaughter Jamie was born she was 6lbs 3 0z. She is just as precious as our first. On to her quilt, I designed it in EQ7, I am slowly getting the hang of it....sometimes. I did the quilty math, measured twice but the sewing gremlins came anyway. The star center went together smoothly but after that it was all downhill. I did change the circle in the center for an appliqued heart. one would think these pieces when sewn together with a 1/4'' would align...nope! Aligning the rays that extended out from the star was a big problem that no amount of wine would help. The offset was a 1/4'' but when sewn together they DID not align. I used my seam ripper more times than I ever thought possible. Sorry no photos as I was totally frustrated by then. Remade a couple pieces. 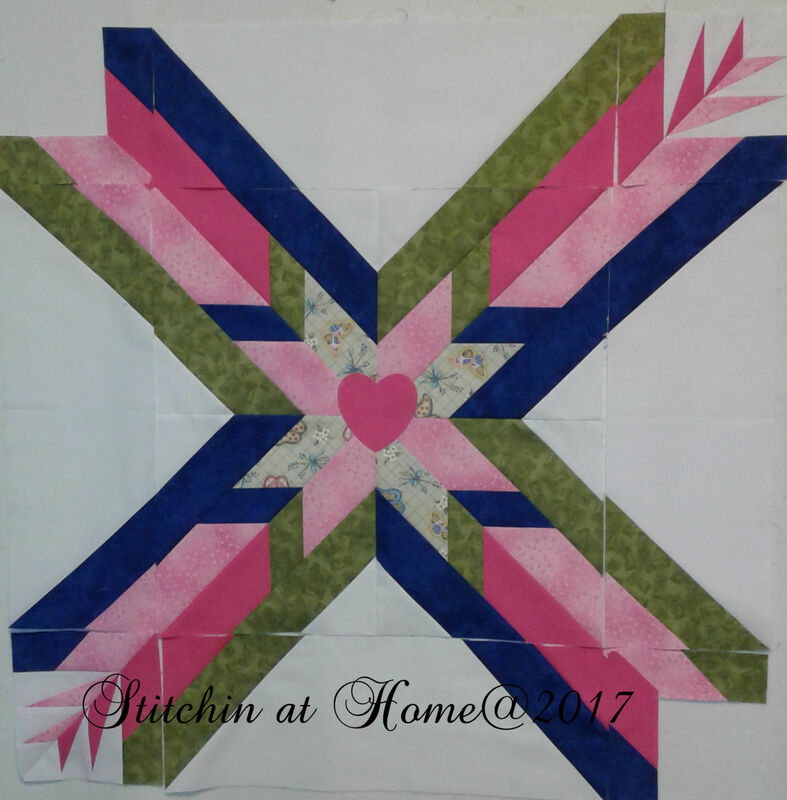 After holding my breath and praying to the quilting god's it worked! A couple of design changes now needed to take place as I no longer had enough of the dark pink to continue as planned. 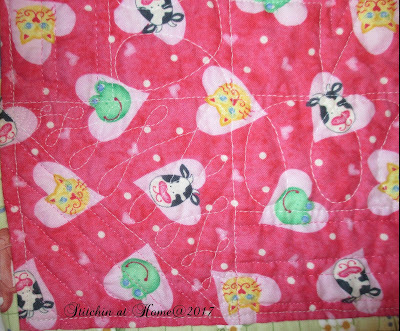 The quilting I wanted to keep simple as I wanted the quilt to be cuddly and not over quilted. So simple straight lines following the star points and rays. I used Aurifil threads #'s 2021, 2440,5018 and 2730. Matching the threads to the fabric, made for more burying of threads but I'm glad I did it. 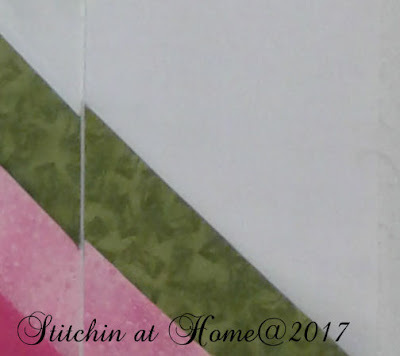 The first border got loopy l's, the dark pink more straight lines, which I repeated in the pink corners. The white corners I did figure 8's in. A look at the finished quilt. Even though I had to make some changes I like how it turned out. Of course what baby quilt is complete without a picture of Jamie using using it. For the backing I used an adorable print. I picked this up for less than $5/m. I normally use Hobbs Heirloom Premium 80/20 Batting. I have a wool allergy so that is about the only batting I haven't tried. What is your favourite batting? 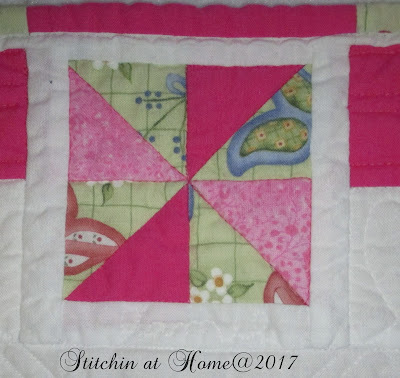 It's a super cute baby quilt. I love the design! The baby's super cute too!! I am so glad you were able to get the stripes to ,one up and then make the design work with the fabric you had left on hand. 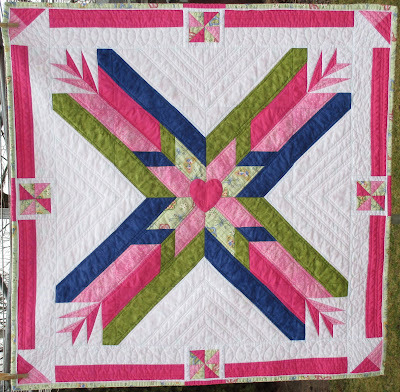 It is a stunning design and Jamie looks like she is going to get a lot of love from the quilt! 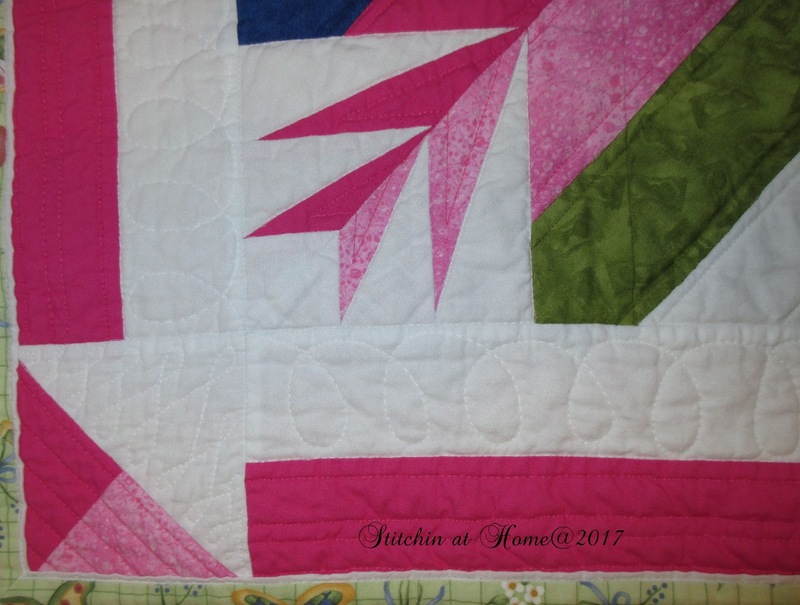 Cindy, this is an absolutely beautiful quilt for an absolutely beautiful baby girl! And the fact that it is your own original design just makes it even more special. Congrats on your new granddaughter! Hi Cindy, your quilt is awesome, even if it gave you trouble. Congrats on the new grand-daughter! This is so adorable! Bummer you had to rip out several times, but worth it once you finally got it. Congrats on the new grand-daughter! Glad you overcame those construction woes - well worth it! 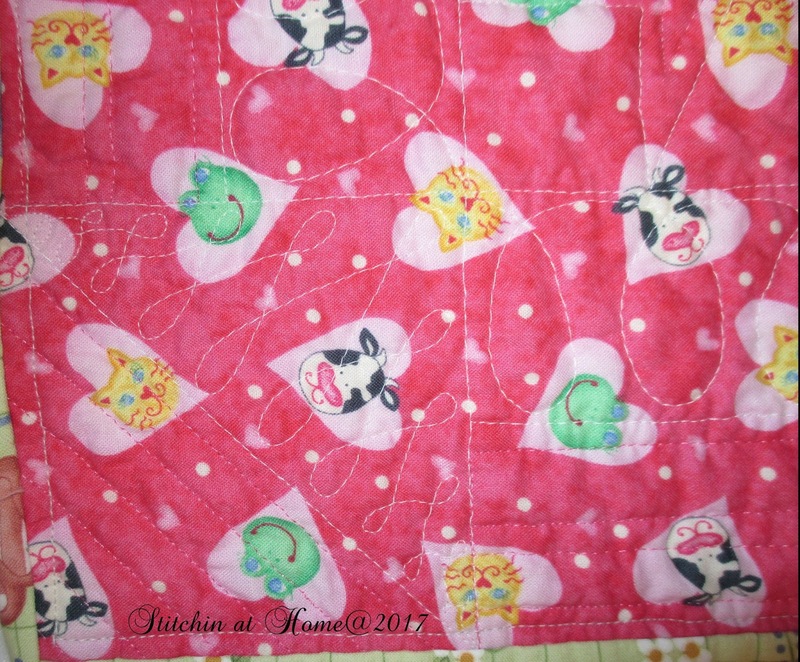 And such an adorable baby to grace the quilt. Wonderful! I really like the Hobbs 80/20 and use it almost exclusively. I'd like to try the Hobbs silk one day - I understand it has a lighter feel, but is more expensive. Well it's a beautiful quilt, you did a great job. And what a lovely gdd. What a beautiful quilt! I especially love those intricate corners (and the alignment in the end looks perfect). Congrats! What a beautiful baby and a beautiful quilt! It's a gorgeous quilt, I am sorry it gave you such problems, but glad you stuck with it. 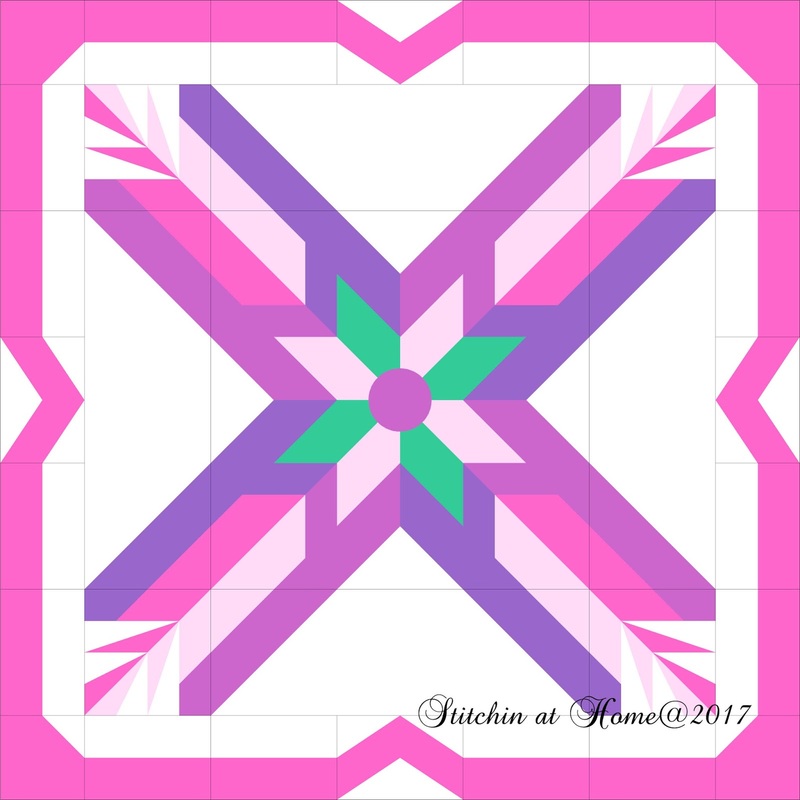 It is fun to see how you progressed from design to finished quilt. I don't envy attempting to match up those angled seams; I'm sure I'd be wearing out my seam ripper too. It turned out nicely, and it's a really striking design. Jamie is precious! Congratulations Gramma! How sweet to have designed and made a quilt for your latest family addition. The quilt and the baby are both beautiful! 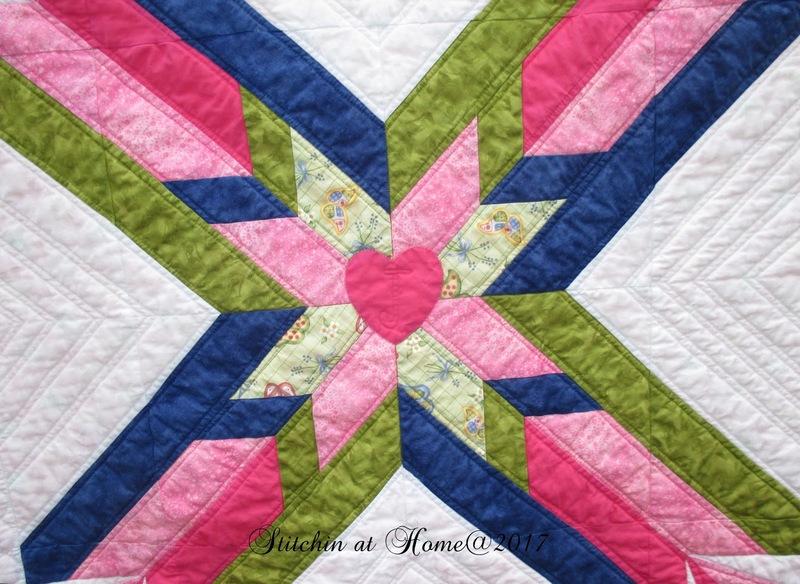 I think the appliquéd heart was the perfect way to enhance the quilt. Yes, I agree the backing is cute and the baby is even more so!!! 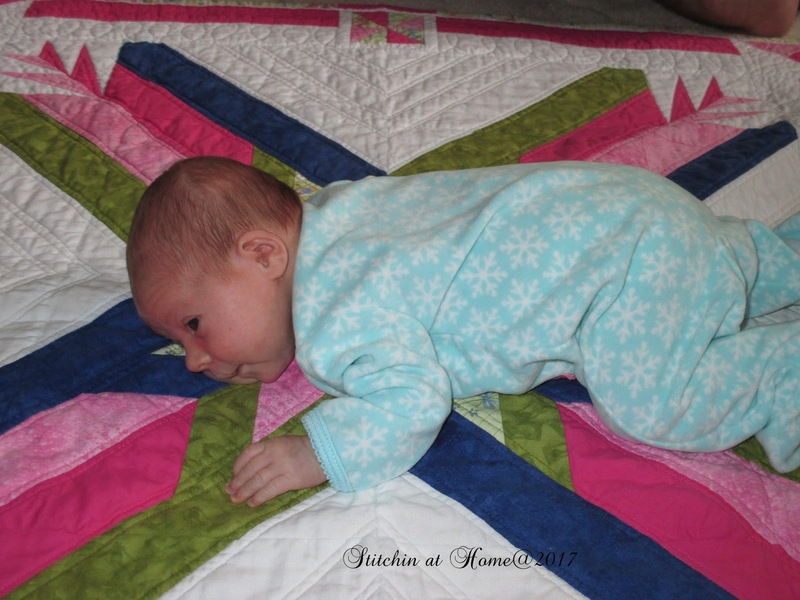 What a gorgeous quilt and a gorgeous baby! I love seeing it from initial EQ7 design to reality. I purchased EQ7 in January and am slowly learning it. Great design!